National Honeybee Day on August 18 exists to make a slight impact on this global problem by creating awareness of bees' importance and their environmental needs. Here are a few ways to celebrate and #savethebees. In case you didn't know, Saturday, August 18, is National Honeybee Day. The holiday was originally created in 2008 by Secretary of Agriculture Thomas J. Vilsek and beekeepers nationwide for the purpose of promoting education about honeybees in hopes of saving the species from extinction. Since 2009, National Honeybee Day is officially celebrated the third Saturday in August, with the holiday falling on August 18 this year. Honeybees are directly responsible for one third of the food we eat as humans. Bees were officially added to the Endangered Species List in 2017, with the United Nations reporting that "about 40 percent of invertebrate pollinator species (such as bees and butterflies) are facing extinction." This is particularly alarming to humans because "about 75 percent of the world's food crops ... depend at least partly on pollination." 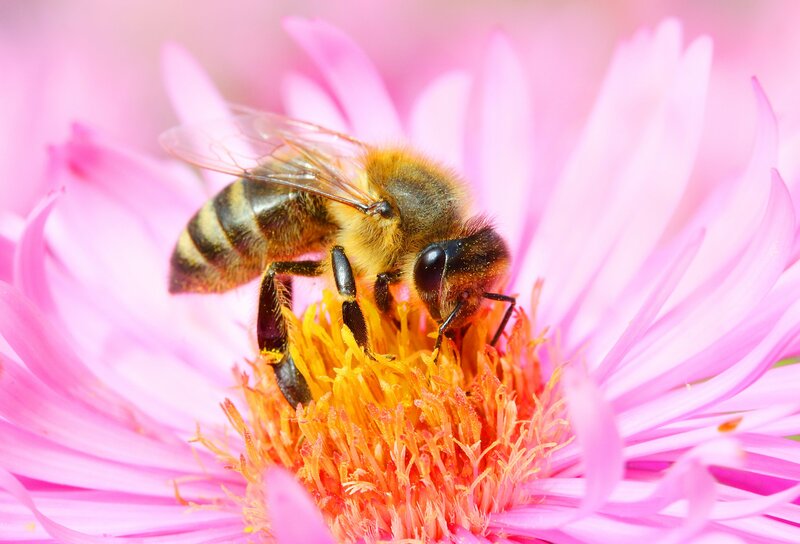 National Honeybee Day exists to make a slight impact on this global problem by creating awareness of bees' importance and their environmental needs. Local businesses, scientific organizations, and museums nationwide, including Norfolk's Virginia Zoo, host annual events on the holiday dedicated to this cause. Replace your usual sweetener with honey for the day, and taste the difference. Give the gift of honey to a co-worker, neighbor, family member, or friend. Attend an event at your local zoo, conservatory, or science museum to learn about Honeybee Day and how you can help bees survive extinction. Vow to avoid pesticides in your garden if you grow plants outdoors in bee habitats. Support a restaurant, farm, or organization that's funded by a Feed the Bee community. Eat some celebratory local honey. Use the hashtag #savethebees on Twitter, Facebook, or Instagram. Attend a Honeybee Festival on August 18 in your area. Watch a documentary on honeybees to learn more about them. Support a local beekeeper in your area. Bees are an important part of the planet's ecosystem. On August 18, let's take a day to help out and appreciate the species however we can. Will you celebrate National Honeybee Day on August 18 to #savethebees? What are some more ways we can celebrate and support bees? Let us know in the comments.